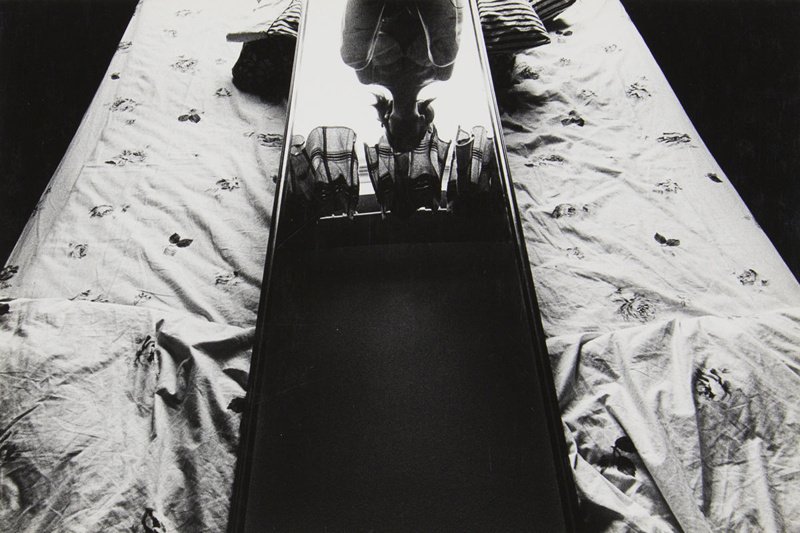 About this objectWoman wearing a bra seen in the reflection of a long rectangular mirror placed on a bed. A curtain can be seen in the reflection behind her head. Subject and Association DescriptionRoger Mertin studied photography at the Rochester Institute of Technology as well as with Nathan Lyons and Minor White. He was a long-time professor at the University of Rochester and also taught at Visual Studies Workshop. Mertin’s work has been widely exhibited and collected.